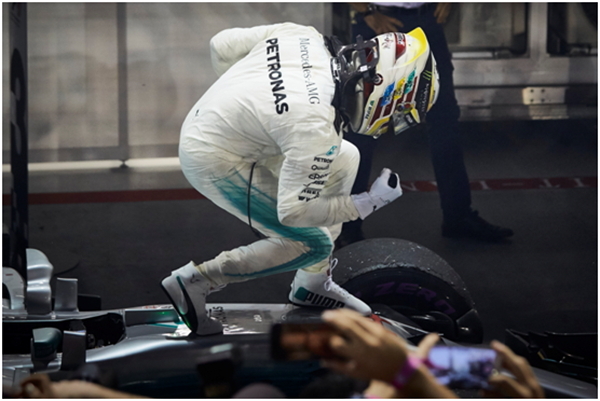 Lewis Hamilton couldn't believe his luck after the start of the Singapore Grand Prix, where he found himself leading from fifth on the grid after the two Ferraris tangled with Max Verstappen's Red Bull on the sprint to Turn 1. What won the race for him, according to the engineers in the Mercedes garage, was Turn 1. 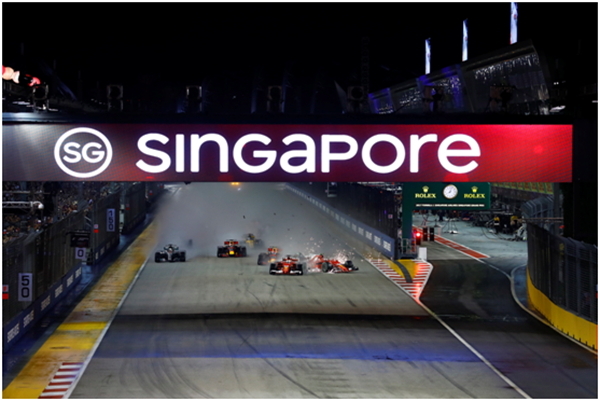 It was the first time any of the drivers had taken the start in wet conditions and the chaos going on added uncertainty. But Hamilton found the grip in Turn 1, committing to an outside line and that set up the track position advantage over Ricciardo, who started two places ahead of him and whom he had been following after the launch. He drove well in a variety of conditions from wet to dry, much as he did in Monaco 2008 and 2016, a suitable way to notch up his 60th career Grand Prix win. At an average of 10 wins a season, which he has managed the last few years, he will catch Michael Schumacher's record 91 wins in 2020. "I feel the most whole I've been as a driver and I'm enjoying driving more than at any stage of my career," he said afterwards. "I have a five year plan and at the end of every year I think about the future. I have no desire to chase Michael's seven world championships, but his win record could be something to chase." It was a day on which it was easy to make mistakes. The first time that they had raced here in wet conditions, meant learning on the job where the grip was on the painted lines and on the racing line of this street track. Hamilton admitted that "last year I made a lot of mistakes" and spoke about eliminating mistakes, using Ayrton Senna's accident in Monaco 1988, where he hit the wall due to a loss of concentration when leading by almost a minute, as a reminder. That's interesting as he's previously not been as open as that about errors in 2016; he previously suggested that he lost the championship mainly due to reliability issues, rather than mistakes and this marks a new shift. 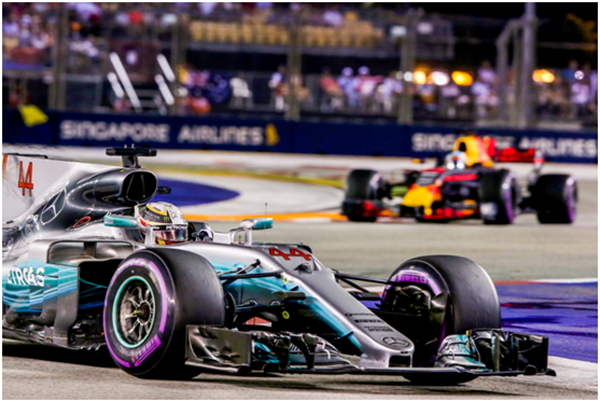 It was damage limitation for Mercedes in Singapore, outpaced as they were in both qualifying and the long runs in practice. 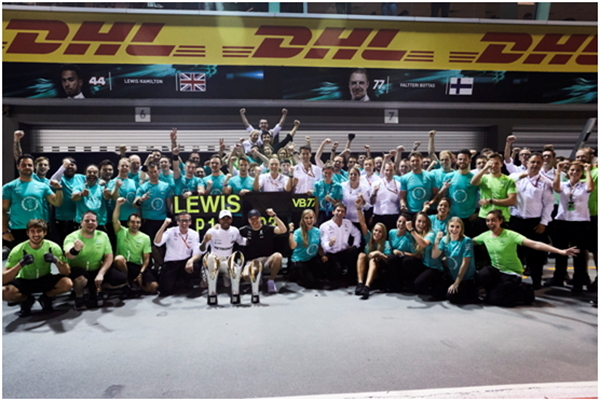 Instead they now have control of the Constructors' championship and a points lead in the drivers which should be enough to see him across the line unless he has a technical retirement. 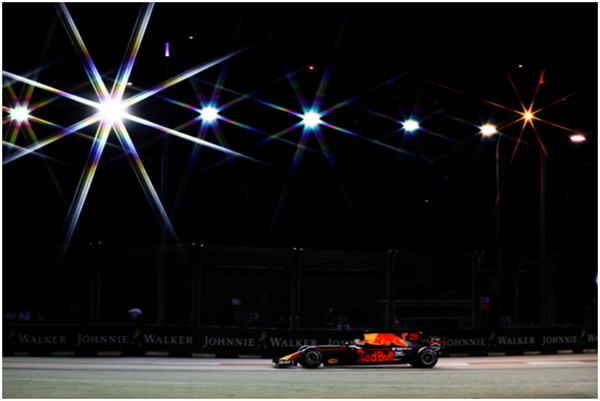 Hamilton was lucky too that Daniel Ricciardo seemed to be struggling with an upshift problem on his gearbox, which took the edge off his challenge, but the Australian didn't blame that for the lack of pace. Rather he identified a set up change he would like to have made with hindsight. It was a missed opportunity for a number of people today. 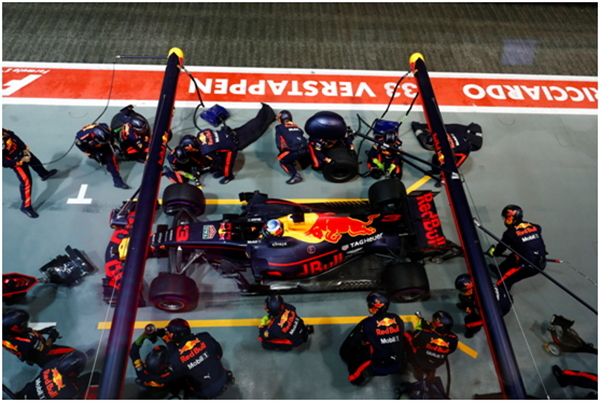 Hamilton had to work for it at several points, such as when Red Bull pitted Ricciardo for new intermediates at the second Safety Car. Hamilton questioned why he hadn't done that, but had he done so, Ricciardo would have done the opposite and Hamilton would have been in second place. But it was uncomfortable for the championship leader with a rival on 11 lap fresher intermediates at the restart. 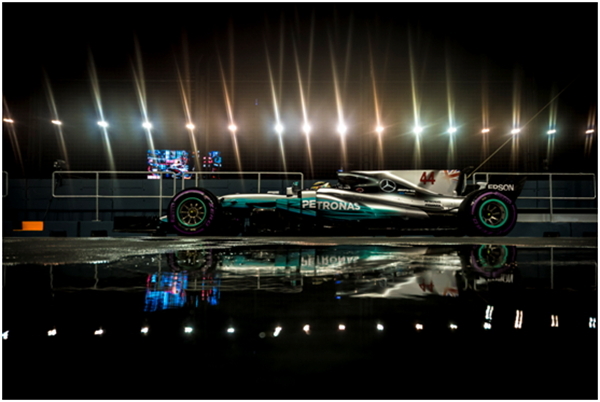 Despite that he couldn't get on Hamilton's tail, as the intermediate tyres held on even though worn. 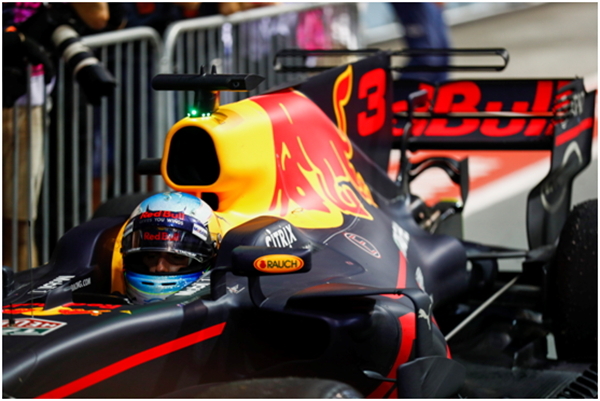 There wasn't much else Ricciardo could have done strategically. He rolled the dice, expecting a performance boost from new tyres but it didn't come. For Ferrari this is a second body blow after the embarrassment of Monza; Singapore was a race that should have had 25 points penciled against it on the schedule, even more so after Vettel's sublime pole position. Raikkonen's launch was perfect and had the squeeze not happened from Vettel to the right, Raikkonen would probably have held the lead after Turn 1. Verstappen this time appeared to have nowhere to go, as Vettel came across to cover him. 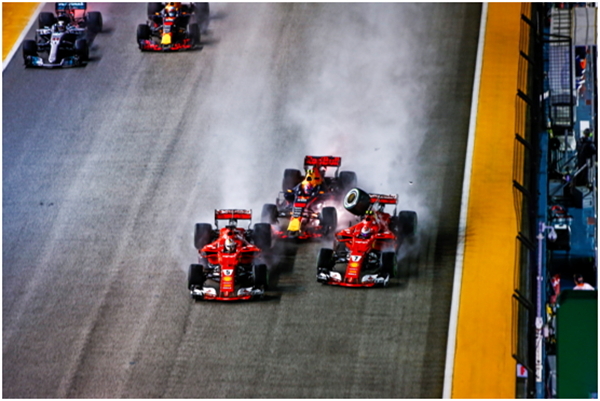 Verstappen's launch had been better than Vettel's and he was minded to go for it. 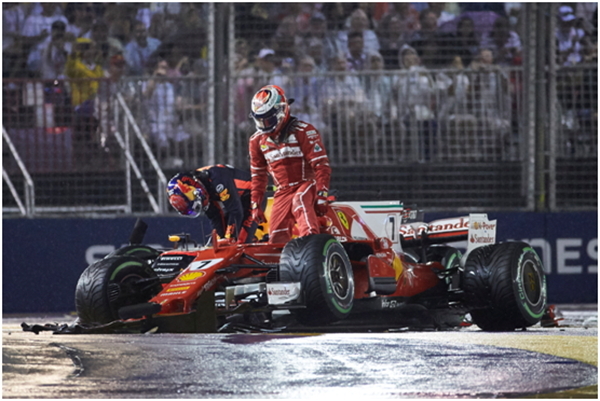 The fact that Vettel was unaware Raikkonen was on the inside of Verstappen was reminiscent of the same trio tangling at the start in Spa last year, that time it was Verstappen trying to force the issue having got a poor launch and Vettel didn't realise that Raikkonen had nowhere to go as the Dutchman was on his inside.